Joachim Brand: The project has actually been around for quite a long time. The groundwork was laid in 2008 and 2009 at the initiative of Thomas Gaehtgens from the Getty Research Institute. The Getty has maintained its Provenance Index for many years. This is a large database that, among other things, brings together information related to works of art from gallery catalogs and auction catalogs. 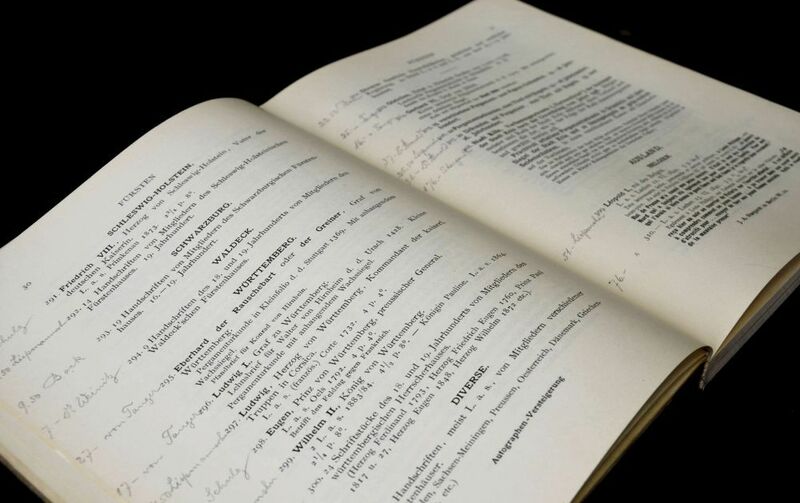 For a long time, no German auction catalogs were listed in the Provenance Index® Database. That’s why our project is called German Sales. Some people might wonder why it has an English name. The explanation is simply that the Provenance Index classifies the auctions, or sales, as British, Italian, or German. To provide further data, project partners were sought in Germany. 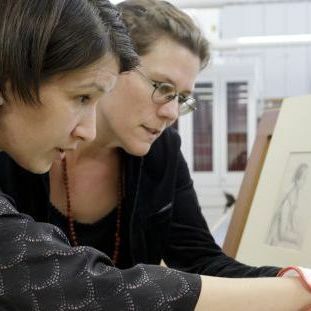 So they contacted us and Heidelberg University Library, which operates a large digitization center in the area of art history, and together we developed the concept of a joint project for digitizing auction catalogs. Joachim Brand: Think of a painting that is, say, four hundred years old; it may have changed hands ten or twenty times, and that was often facilitated by an auction house. Auction catalogs are therefore written indications of changes in ownership and that makes them an important source for provenance research. Auction catalogs are not, however, collected systematically. They are, of course, relatively common in museums or museum libraries, where the curators of the collections need them for their daily work. But there is no institution that has continually collected all auction catalogs. So the project involves not only digitization, but also identifying and collecting all of the available catalogs. Joachim Brand: The idea of a complete collection, which is important for research, had not really been considered before this project. That is why we are not only digitizing the extensive holdings of the Kunstbibliothek (Art Library) and the Staatliche Museen zu Berlin (National Museums in Berlin), but have to go beyond that. Completeness has been one of the objectives of this project from the outset. 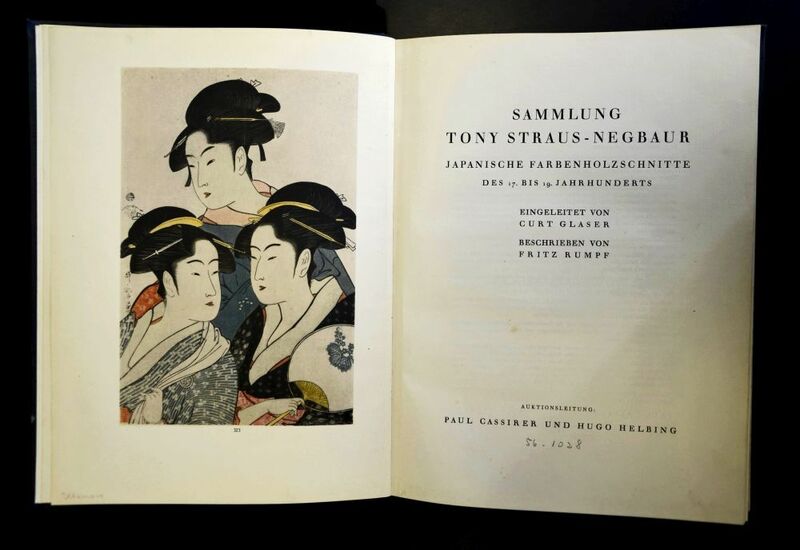 Britta Bommert: In order to identify all the German-language catalogs published in the entire 1901–45 period, we began by looking at the extensive collections in the Kunstbibliothek of the Staatliche Museen zu Berlin and in Heidelberg University Library. After that, we contacted other large institutional libraries and museums with a long history and asked for their assistance. We, that is to say, Astrid Bähr for the period 1930–45 and myself for the period 1901–29, followed this up by going to these places and inspecting the actual catalogs in their collections, pulling them out from the shelves one by one and comparing them with a database of the catalogs that have already been digitized. This step was necessary because the stock of auction catalogs held by institutions of this kind has usually not been inventoried. 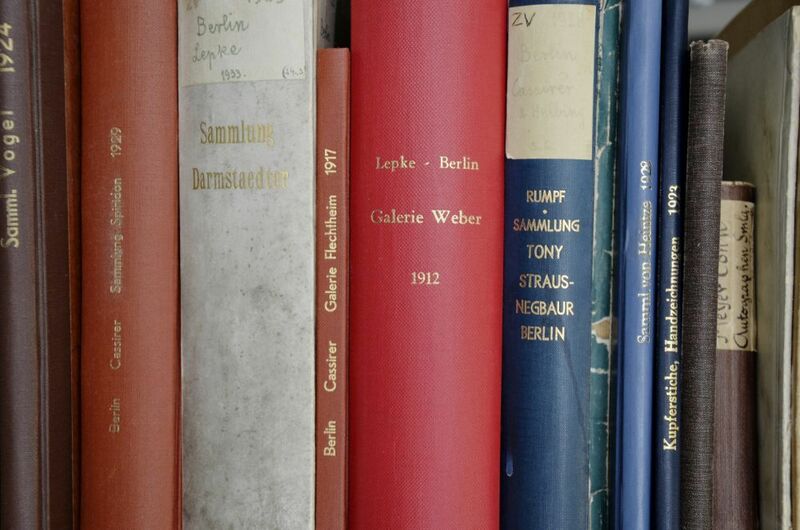 We then sent any auction catalogs that we had newly identified – that’s any that had not yet been documented – to Heidelberg, where they were digitized. Britta Bommert: For the entire period, we have identified, inventoried, and digitized around 8,500 catalogs. True completeness is, of course, a goal that is hardly achievable, but no survey to date has matched the extent to which we have been able to identify catalogs. A bibliography is already available for the first stage of the project, covering the period 1930–45. We are just finalizing the bibliography for the period 1901–29. We have acquired other information through this project too, such as how many auction houses existed at these times. It is well known that the art trade flourished in the 1910s and 1920s, but only now do we know that around 250 auction houses were operating in German-speaking regions during this period. Some auction houses numbered their catalogs consecutively, from which we can clearly see that there are still some gaps for the period 1901–29. We would like to fill in these gaps in a follow-up project. The digital representations are now available in the repository of Heidelberg University Library. You can also find them at arthistoricum.net, a specialist portal. This is a central point of access where all of the catalogs are available in digital form, configured for full-text search. Joachim Brand: They are accessible in different ways in different places. We have published the bibliography, which is available as a free download and as a print-on-demand book. This list of all the auction catalogs contains links that refer you to the Heidelberg repository. There you can look at individual catalogs and perform searches. The third source is the Getty’s Provenance Index, where each of the entries in the auction catalogs is assigned to a specific work. You can search the index for individual works and trace their chain of ownership. At the moment, however, the index only deals with “high quality” genres such as painting, sculpture and drawings – the classic fine arts. So the decorative arts, for example, are not dealt with at all, because there isn’t enough capacity. Britta Bommert: That’s a very interesting question. For the period 1930–45, it was clear to us that annotations are particularly interesting for provenance research – prices or names might be mentioned, for example. 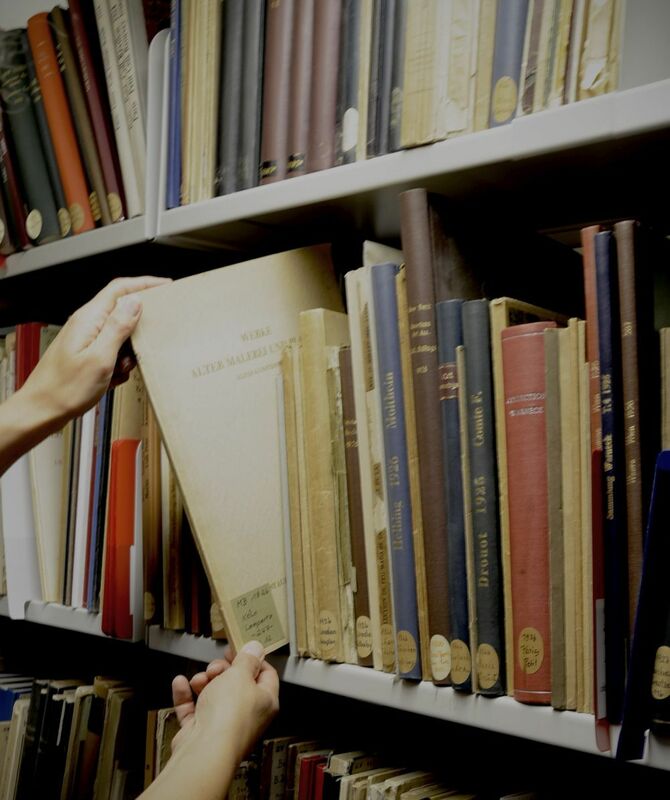 We list the libraries in which you can find annotated copies of the catalog that we have digitized. So we haven’t digitized every copy of a catalog, but we have identified where they are to be found and what kind of annotations they contain. For 1901–29, we could not afford to do this to the same degree, because the number of auctions is much greater than for 1930–45. However, Heidelberg University Library has installed an annotation button so that the research community can annotate the digitized catalogs with citable comments, which may refer to additional catalog copies. 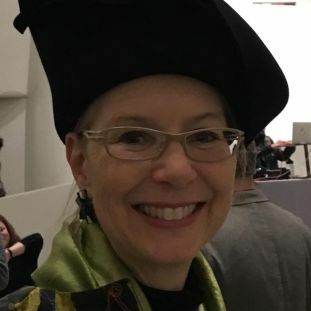 Britta Bommert: Many connections can only be clarified if you go back to the period before 1930–45 and get evidence of the work’s previous owner. Questions about the expropriation of cultural property under the Nazis can certainly be settled for some works of art by examining the period 1930–45. But for many works of art, it is necessary to go back in history if you want to shed more light on the circumstances of their possession. 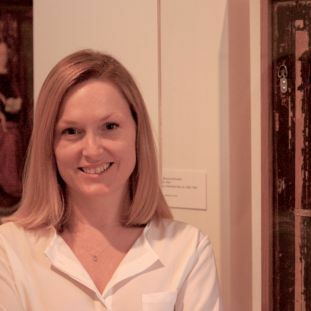 And in any case, provenance research is interested in the entire history of a work of art, from the moment of its creation to the present day. Britta Bommert: We’ve found that provenance researchers are very happy with the project, because it is an arduous business to track down all these catalogs, go to the libraries, and look through their archives. That’s one reason why provenance research used to be associated not least with a lot of traveling, as there was no central point of access to the catalogs. 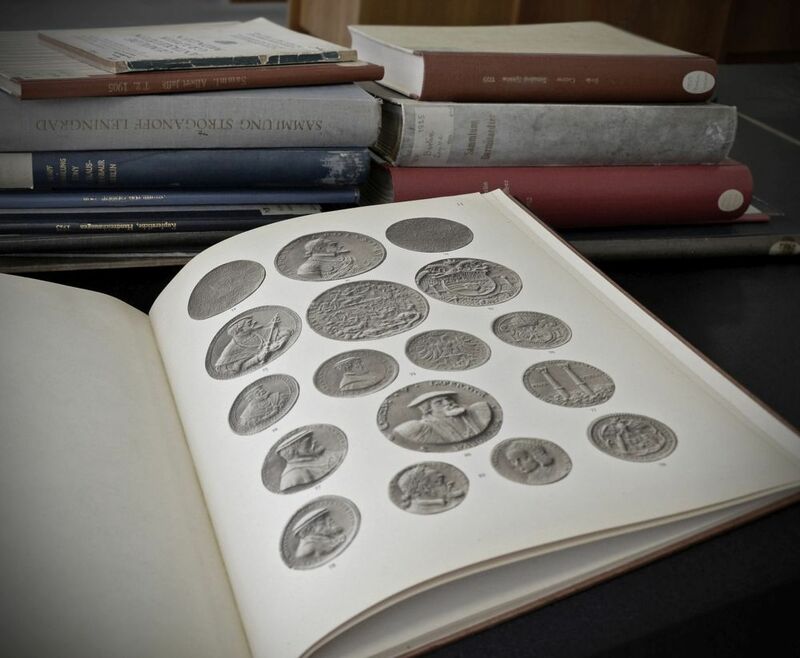 I think we’ve made a great contribution to provenance research – one that allows it to be done more quickly and efficiently. Joachim Brand: You have to go back a ways in the history of the Getty Research Institute. It was only founded in the 1980s. From the outset, it took a different approach to ours. In Europe, art history tends to look at specific works of art and it is pursued by individual researchers. In the United States, people took advantage of the new technologies straight away. They worked with databases from the start, at a time when – to exaggerate slightly – no one here even knew what a database was. Furthermore, the Provenance Research Index uses what we call “standardized terms,” meaning that a systematic approach has been taken to terminology. In the German Sales project, it is very important that the data can be re-used elsewhere. So we saw the cooperative aspect as crucial right from the start. We aimed for completeness, so we wanted to include the stocks held by many institutions, and we wanted to process them with state-of-the art technology, which is full-text OCR (optical character recognition ). That’s where the Getty Research Institute came in. There are two databases in the Provenance Index: the Sale Descriptions database and the Sale Contents database. The first records the auction catalogs – that is, it contains the titles that we have entered in the bibliography. The second database contains information on each lot put up for auction; these have been extracted automatically from the OCR data of the catalogs scanned in Heidelberg. We have taken data generated in different places and have tried to incorporate them straight away, so that not every institution has to start from scratch, and that has worked out very well in this project. Britta Bommert: I will be presenting our project to them then. We like to use opportunities like that to make it even better known in the professional community, because it really offers immense added value. Britta Bommert: By the end of the project, we will have substantial new insights into the art market of 1901-45. That is because we are now able to look at this wealth of source material in its entirety and in detail. I mentioned the 250 or so auction houses that were in business between 1901 and 1929. These are quantitative surveys of a kind that until recently could not be done. We’ll conclude the project by profiling individual auction houses, presenting the companies’ histories for the first time. It is also possible to extract other sets of data, for example the frequency of auctions, ordered by date or object category. Do we already know the extent to which ethnological objects dating from the early twentieth century have been auctioned off? I’m not going to reveal that yet. The final evaluation of the data is scheduled to continue until the end of March 2018. We are already looking forward to the results. The project has enormous potential for art market research in general. Joachim Brand: We are now in talks with our project partners on how to continue. For one thing, it would be nice to get closer to the present day, but there are legal barriers to that. For another, we could go further into the past, to the 1870s or even earlier. First of all, however, we will probably extend our project by adding what are called “stock catalogs,” that is, sales catalogs. Another question is whether a procedure can be found to simplify the research process. The part of the project covering the years 1901-29 in particular showed that a great deal of effort is needed to get hold of the material. It’s like searching for a needle in a haystack. If the last hundred catalogs are missing when you get to the end, and you have to leaf through several thousand more in search of them, it simply isn’t efficient. We will have to consider further refinements. “German Sales 1901–1945″ is a joint project of the Kunstbibliothek der Staatliche Museen zu Berlin, Heidelberg University Library, and the Getty Research Institute in Los Angeles. The first stage of the project (German Sales 1930-1945) was funded by the Deutsche Forschungsgemeinschaft (DFG) and the National Endowment for the Humanities; the Volkswagen Foundation provided initial funding. The second stage of the project (German Sales 1901-1929) is being supported once more by the DFG on the German side, while the J. Paul Getty Trust is financing the continuation on behalf of the Getty Research Institute.